Singer Rita Ora was out and about yesterday in Los Angeles. She was wearing a very bright floral jogging suit. It reminded me of a similar outfit that I saw the other day while I was doing a little online shopping. 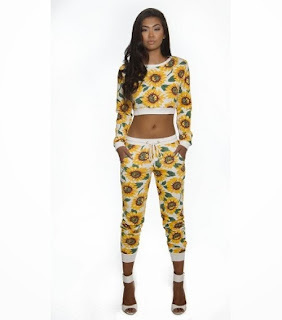 If you like her look, get something bright and similar to her floral jogging suit from Kloset Envy.